Everyone wants to show their mother how much they care, so when Mothers Day comes around, it’s important to find a gift that shows how much she is loved and appreciated. Flowers and chocolates are lovely, but they aren’t particularly inspired. A special day like this requires a unique and heartfelt present that offers a truly personal touch. When you are searching for the perfect surprise for your mother to mark the occasion, why not consider homemade Mothers Day gifts? A token that you have made by hand symbolises your esteem and shows that you have put a lot of thought into what to give. Your mother will love to receive a present that has been made by her child encapsulating all their love and gratitude for a lifetime of maternal devotion. If you love the idea of making a gift for your mother but are lacking in inspiration, here are some exciting homemade Mothers Day gifts ideas to get you started. Creating a photo collage is a wonderful way to document the relationship that you have enjoyed with your mother over the years. Choose pictures from all aspects of your life together, from childhood snapshots to more recent times when you have posed together. Try to include images from important events that you have shared such as weddings, christenings, important birthday celebrations, and memorable family holidays. Select photos of different sizes and feel free to crop and trim into interesting shapes. Glue into an eye-catching arrangement, and frame the results ready for hanging in the room of her choice. Sure, you could go out and buy a vase for your mother for her special day, but it’s a lot nicer to decorate one for her yourself. An empty wine bottle, a coffee jar or milk bottle are all ideal for creating this gift. Simply steep in hot water to remove any labels and then paint a design of your choice using special glass paints. Opt for her favourite colour, make unusual patterns, or paint a decorative scene if you are especially artistic. A bunch of freshly-cut flowers will be the perfect finishing touch. If you are short of time however, and would prefer to buy a unique and beautiful vase that is something a little different to those that you may find on the high street, Eternity Rose offers a selection of stunning vases that have been hand-dipped in 24 karat gold or pure silver. Elegant and stylish, these opulent vases would look perfect on any mantelpiece. A shop-bought box of chocolates can be rather a dull gift, but you can create a twist on this traditional classic by making your own truffles or sweets by hand. Recipes for simple yet delicious chocolates can be found easily on the internet or in cookery books, so simply select one that you think will appeal to your mother’s tastes and whip up a tasty treat to delight her. Buy a beautiful and decorative box for perfect presentation, and tie with a fancy ribbon for a present that will be infinitely more appreciated than the store alternative. Handmade marmalade, jam and chutney are also wonderful homemade Mothers Day gifts. Choose her favourite fruit and follow a simple recipe for an easy to produce yet extremely effective present. Store in an attractive mason jar with a decorative label and your mother will want to display your gift in pride of place before finally eating it. Cookies, cakes, muffins and brownies are also good choices for homemade Mothers Day gifts. Easy to make and delicious to eat, they can be presented on an ornate tray or in an elegant box. A great improvement over a store-bought sweet treat. The traditional bunch of flowers has been a staple Mother’s Day gift for decades, but if you want to ring the changes and find something a little less predictable, there are ways of giving this classic a contemporary twist. The Japanese art of origami is incredibly effective and simple to do. 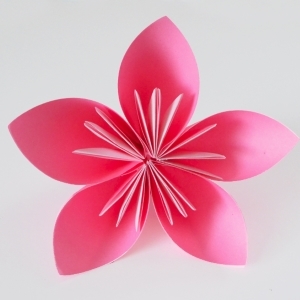 Search online for instructions to make origami flowers and choose brightly coloured paper to complete your project. This bouquet will never fade or wilt with age, and can remain on display long after this special day has been forgotten. 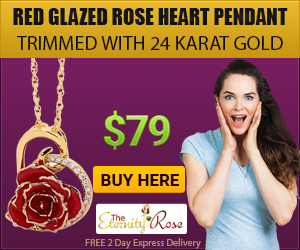 Alternatively, for a unique gift that will last a lifetime, why not choose one of Eternity Rose’s gorgeous 24 karat gold dipped roses. Presented in a sumptuous leather presentation box, these natural roses have been picked at the height of their beauty and preserved forever in its magnificent gold finish. Your mother will be delighted to receive such a special and unusual present that can be treasured forever as a reminder of this special occasion. 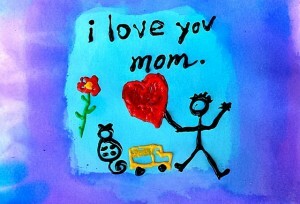 There is no need to spend a lot of money on expensive gifts for your mother to show her how much she means to you. Homemade Mothers Day gifts will reveal more of your emotions and affection than any shop-bought present ever could, so this Mothers Day, give your mother a gift with a uniquely personal touch.